Everyone in our community is responsible for the protection of our students, faculty, and staff's privacy and their personal information. However, you don't need to understand the nuances of every privacy regulation currently affecting higher education to tackle data privacy issues on campus. 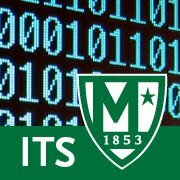 Whether you are working on a data breach response plan, updating institutional policies, collaborating with researchers on a new project, or educating students, faculty, and staff about data privacy, consider reviewing Manhattan College Data Security Policy. Additional privacy statements or notices may be included in third-party contracts or services offered to students, faculty, and staff (e.g., learning management systems used for classes).